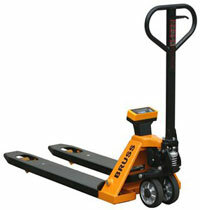 A robust weighing hand pallet truck for all your daily check weighing throughout your company. This strong and tested system is ideal for the cost conscious user. 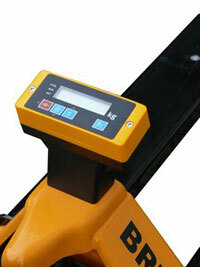 The compact LCD indicator of the Bruss Basic shows the weight in steps of 1 kg and works on four AA batteries (each 1.5V). 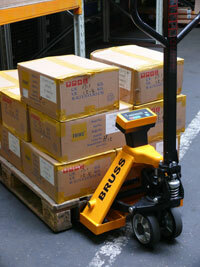 The Bruss Basic is very suitable for performing weight checks of incoming and outgoing goods. 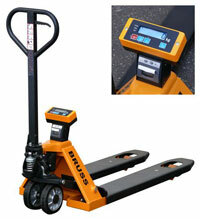 Measruing accuracy is 0,1% and the weighing hand pallet truck can be supplied if needed with an calibration certificate for your ISO recordings. Designed for mobile use! No moving parts inside. The leader in the branch.